Enough members of the ruling Tory conservative party have been found willing to send in a letter of no-confidence in Prime Minister Theresa May to call for an unprecedented leadership vote (for which at least 48 Member of Parliament have to call). It means that tonight, between 6pm and 8pm local time, the UK could potentially be without a government or a Prime Minister with only a few months until the Brexit clock runs out. Sir Graham Brady acknowledged he had received enough letters from Conservative MPs calling for a vote of no confidence in Ms May. Tory MPs have one last chance to save Brexit tonight by removing Mrs May, time to stand up and show some courage. 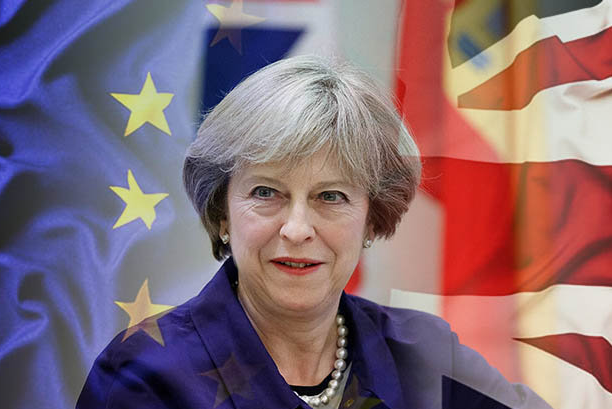 Mrs Theresa May, who replaced Mr David Cameron as UK Prime Minister shortly after the UK voted to leave the European Union in 2016, has come under intense scrutiny from within her own party after she decided to delay the Parliament vote on her Brexit deal and instead traveled to various EU capitals to try and renegotiate. Related coverage: Brexit - May ‘Stuck Between A Rock And A Hard Place’. The news comes just after it became obvious that Ms May’s tour of Europe yesterday ended without any result. After meetings with Dutch Prime Minister Rutte, German Chancellor Merkel and EU President Tusk, she joined President Juncker of the European Commission for dinner. But an adjusted Brexit agreement she did not receive. Related coverage: Brexit - Humiliating Defeat As PM May Cancels Parliament Vote. A compromise will not be discussed Thursday evening at the EU summit, emphasized Mr Juncker and Mr Tusk, respectively the EU Commission and EU Council Presidents. The stubborn idea on the British side, that renegotiation with the EU is always possible, was met with a tired shake of the head from the EU’s side who simple repeated their stance: did the British parliamentarians not hear last month that all European heads of government - including Ms May - concluded that this Brexit agreement is "the best possible" to ensure an orderly departure from the EU from the EU? Should enough members of the Tory party vote to replace Ms May tonight, the frontrunners for new Conservative Party Prime Minister are Ms Dominic Raab and Mr Boris Johnson. I HOPE TO GOD THEY PUT MAY OUT ON HER ARSE!! !